July 2013 - A.I.R. Plus Inc. This is a picture of a system that is in immediate need of cleaning! Does your system look like this? If so, look at reasons why you should clean it! > Save your System and prolong its useful life! > Improve the comfort level in your home! > Peace of mind in knowing your are mainting a very expensive piece of equipment for your home! Call A.I.R. and let us demonstrate to you how we can save your system and your money! A.I.R Air-Conditioning Installation and Repair is proud to announce that A.I.R. 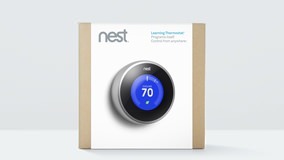 is now a certified installer of the Nest thermostat. A thermostat that programs itself! 50% of your home’s energy cost is connected to your Heating and Cooling cost. The Nest features include: Auto-Scheduler, Auto-Away, Airwave, Energy History, Nest Leaf, System Match and Remote Control via the internet. Call 405-618-2AIR for detailed information on how to improve your energy cost and find out how the Nest thermostat can pay for its self!